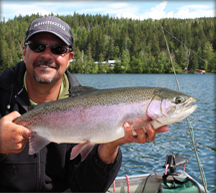 Shuswap lake is located in the North Okanagan and is home to a wide variety of fish. 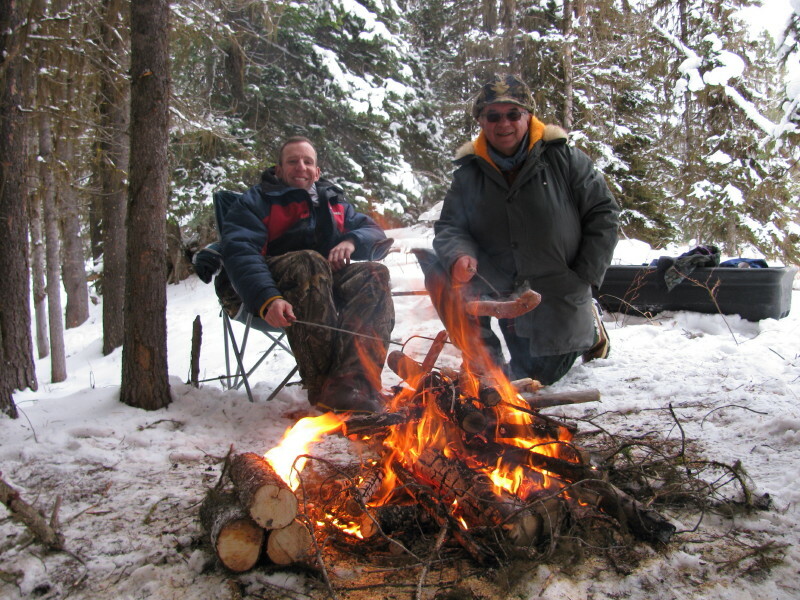 They include Rainbow Trout, Lake Trout, Bull Trout, Kokanee and Burbot to name a few. We fish this stunning body of water year round but our favorite time is in the springtime during the months of March, April and May and again in the fall during October and November. What makes this lake stand out above others is the amount of Salmon that spawn in it’s tributaries each fall. 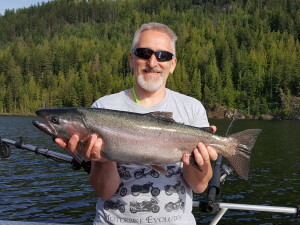 Every fall, many of the Shuswap’s rivers are host to Coho, Sockeye, Chinook, and Pink Salmon and consequently every spring there is a flush of Salmon fry that migrate through the lake en route to the ocean. Wow, your saying that’s a lot of food, well it gets better…Sockeye fry stay in the host lake (Shuswap Lake) for another year feeding until they are ready to exit the lake the following spring. 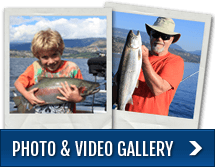 This mass exodus of Sockeye smolts, now about 3″ in size are what the Rainbows, Lakers and Bull Trout are exactly looking for and they feed voraciously on them while they can. It is at this time the lake becomes alive with thrashing and leaping Trout, Bald Eagles and Ospreys. It is not uncommon to lose a fish to an Eagle if you’re not careful! In the past we’ve had the opportunity to film a few shows on Shuswap lake. 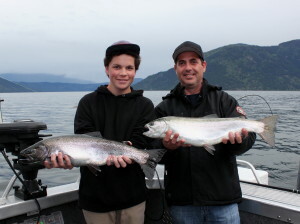 2 of these were with Brian Chan and Go Fish BC and the other with Rodney Hsu of “Fishing with Rod”. 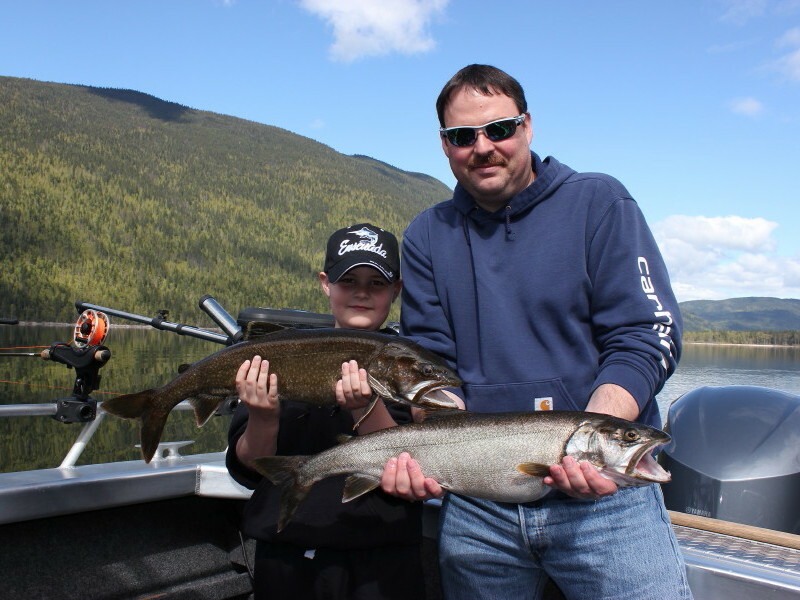 For our Shuswap fishing charters you have the option of traveling with us to the lake or meeting us there. 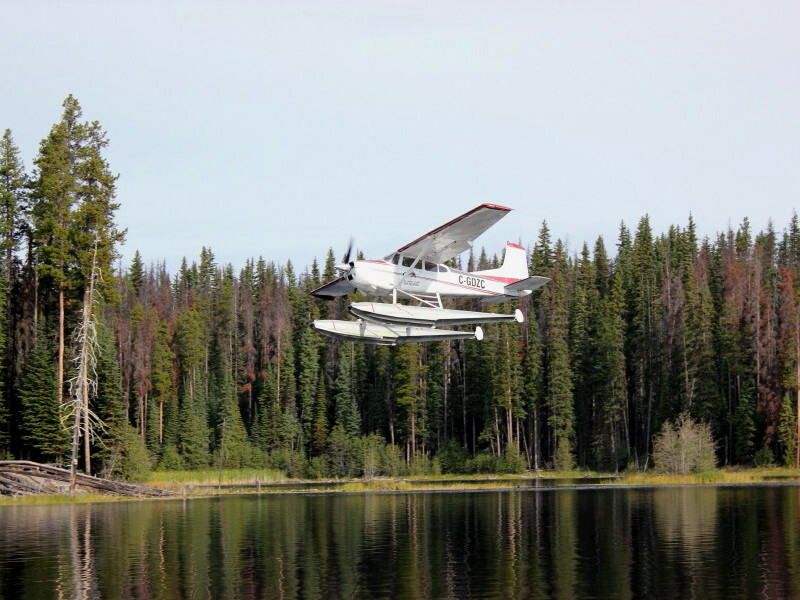 We typically launch and depart from Sicamous. 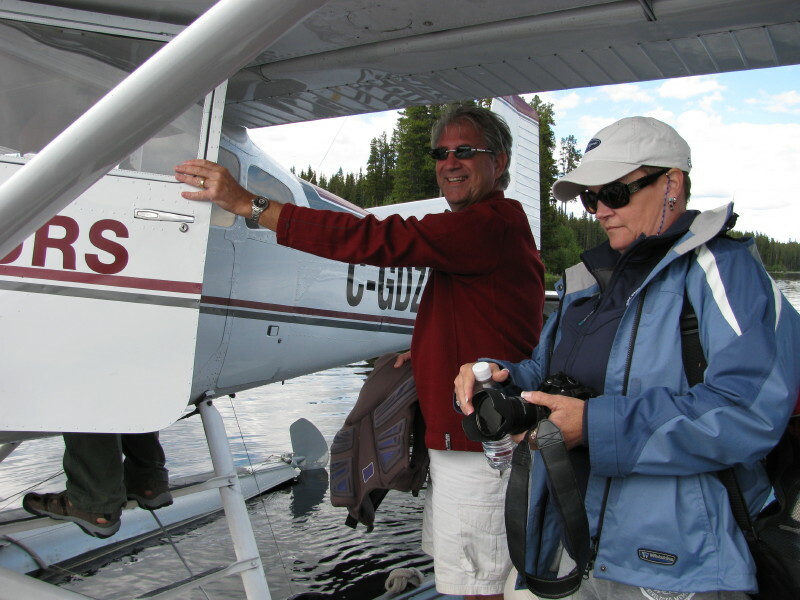 A lot of our guests do multiple day charters and we can recommend a great B & B or local hotel. 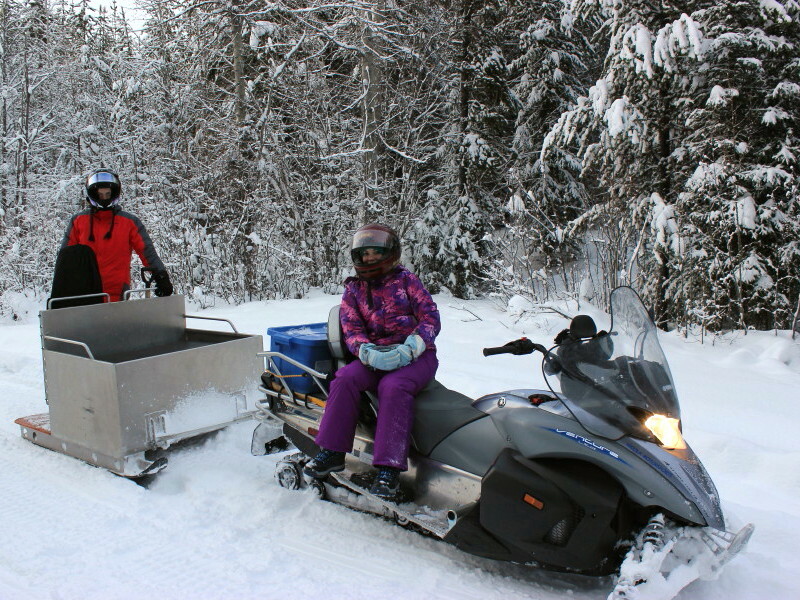 Shuswap lake is about 1-1/2 hours drive from Kelowna and consequently there is a fuel surcharge added to the charter cost. Our method of fishing is trolling and fly fishing. 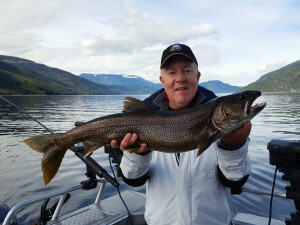 For the fly fishing enthusiast March and April are your best months when fly fishing on Shuswap lake. When trolling we use our 8 weight rods mated with Ross Momentum and F1 reels loaded with super fast sinking lines. We use an assortment of minnow and leech fly patterns and spoons. 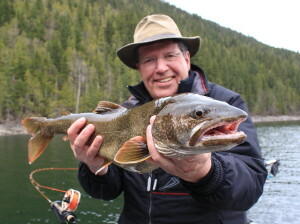 20 fish days are not uncommon with fish to 12 pounds.